Dog daycare should be more than just a place to take your pet when you’re at work or on vacation. At a good doggie daycare in Baltimore, your dog will socialize with other dogs, interact with a caring team, and get regular exercise. Camp Woofs and Wags is for all those active canines out there that need a social outlet during the day instead of sitting home staring at the door waiting for their family to come home. 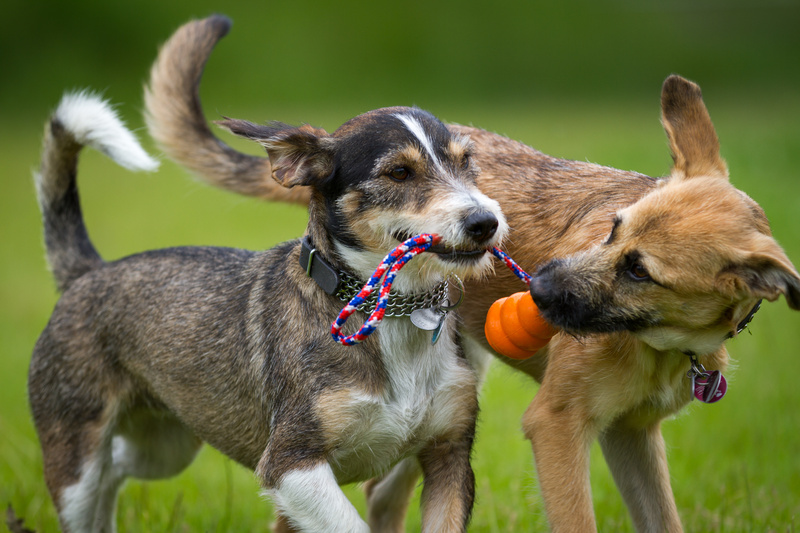 Dogs will have a two-hour break, which gives them time to rest before the play continues. Also at Woofs and Wags, we have grooming services that you can choose from. Whether your pet needs a “crew cut” for the summer months, a bath and brush with styling, or coat conditioning for special events and shows, our Pet Stylists have you covered. With 50 years combined experience in the industry our staff can assist you in your pet’s coat care. Special care options are also available at our good doggie daycare in Baltimore. This includes administration of medications, one on one time, and special diets. Tell us what your pet needs to be comfortable and happy during the day. Finally, the “Puppy Pro Shop” is located in the Woofs and Wags lobby and features some of our retail favorites, treats, and items to make your pets stay more comfortable. Take a minute to check out what’s new on your next visit. Camp is available Monday thru Saturday. Contact us today to schedule your dog’s next daycare visit!